Is Sleep Medication Safe For Seniors? Before we get the effects of sleep medication on seniors, we need to look at the medication itself. But before even that, we need to lay out the information about the condition that likely necessitates regular use of sleep mediation: Insomnia. It is a condition where a person finds it difficult to fall or stay asleep, even when they have the opportunity to do so comfortably. Those afflicted with it usually complain of low sleep quality; along with other symptoms like fatigue, difficulty focusing and concentrating, abrupt changes in mood, and an overall decrease in performance—whether it be related to studies or work. There are two types of insomnia: acute and chronic. Acute insomnia is short-term and lasts for only three months, while chronic insomnia occurs at least three times a week for a minimum of three months. Unfortunately, older people are more likely to experience the latter. What’s even more disturbing is that it is rarely diagnosed and treated in this age group; considering that lack of sleep is associated with poor aging, not to mention a lot of comorbidities. The National Institute on Aging conducted a survey over a decade ago with more than 9,000 respondents aged 65 years and older; and found out that 28% of them experience difficulty in initiating sleep, while 42% reported issues both in initiating and maintaining sleep. Moreover, these complaints were associated with an increase in several other issues, including physical ailments, use of nonprescription medication, and an overall poorer self-perceived health. Thankfully, there are several medications which can help not only with falling asleep, but also staying asleep. Uninterrupted sleep makes for a more satisfied feeling in the morning. Each type of medication has a specific method of action, and as with any drug, an adverse effect which must be especially monitored—particularly among older patients—for risk of physical accidents or progressing psychological issues. Before we look into the studies tackling the safety of sleep medication, let’s take a quick look at the different types of sleep medications, how they work, and what their most common side effects are. Note that we are not including dietary supplements and natural sleep aids in this list. Barbiturates: effective for short-term use (2 weeks), high risk of overdose and physical dependence; concomitant use with other central nervous system depressants like Xanax, Klonopin, and Valium can lead to excessive sedation, coma, and even death. Benzodiazepines: not used for insomnia in older adults due to increased risk of cognitive and psychomotor impairments; taking it together with Rifampin, a commonly used antibiotic for treatment of tubercolosis, can decrease effectiveness. Nonbenzodiazepine hypnotics: no rebound effects but can have side effects similar to benzodiazepines, including drug interactions with other CNS depressants. Anti-depressants are prescribed in lower doses for insomniac patients with depression only. The use of this kind of sleep medication by insomniacs not diagnosed with depression is not approved by the FDA. The three most common anti-depressants in this category—doxepin, mirtazapine, and trazodone—have been known to combat insomnia without having any adverse effects, as long as intake is in low doses. These medications should not be taken with monoamine oxidase inhibitors such as isocarboxazid, phenelzine, and tranylcypromine, since it can increase the risk of serotonin syndrome. It is a condition where high levels of serotonin accumulate in the body, and causes symptoms like restlessness, high heart rate and blood pressure, muscle rigidity, loss of muscle coordination, and diarrhea. Orexin is a neuropeptide which is sort of the opposite of melatonin; in that it promotes wakefulness, and regulates arousal and appetite. Therefore, orexin antagonists, which essentially block orexin, suppress wakefulness. It is prescribed primarily for people who have trouble falling and staying asleep, although it does not have a lot of information regarding drug interactions yet since it is a fairly new medication. Every drug comes with side effects upon its use—this goes for any age group—and it can range from barely noticeable to obviously adverse. Sometimes the risk outweighs the benefits, so it’s a must to be on the lookout for any symptoms which can affect daily lifestyle; especially with the elderly where other conditions and medications come into play. 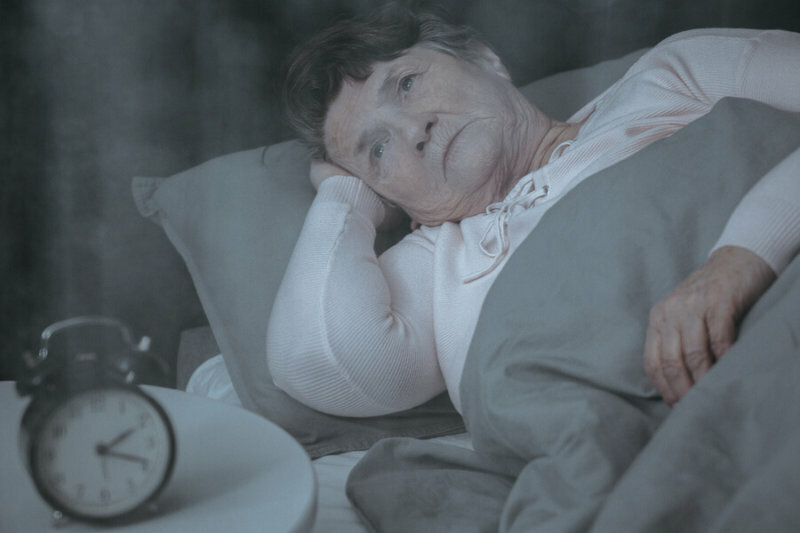 While the elderly may find sleep medications the answer to their sleepless nights, they may not be too happy to learn that there are studies showing certain increased risks for a variety of accidents and other unpleasant effects. Some of the most common side effects include drowsiness, light-headedness, memory loss, and poor concentration—which are, funnily enough, the same effects of a sleepless night. Another risk which is particularly alarming for older people is waking up feeling groggy, which increases the chances of falls and accidents. According to the researchers, this problem may also stem from continuation of the medication even when no longer needed. This study found out that older adults who are taking prescribed sleep medication exhibited a higher fall risk compared to those who do not take the medicine, and regardless of their insomnia symptoms. Falls are even more dangerous for people at an advanced age. Aside from the effects of aging on muscles and bones, their pre-existing medical conditions may interfere with recuperation, and they may not be able to return to their conditions pre-accident. Worse, they may succumb to their injuries; falls are the primary cause of both fatal and non-fatal injuries in the US, and around 27,000 patients lose their life from falls annually. Both the trauma and the required hospitalization bring about complications which put elderly patients in compromised conditions. When it comes to a specific drug type, sedatives and hypnotics seem to pose the most adverse effects among the elderly, including excessive sleepiness and difficulty in arousal. 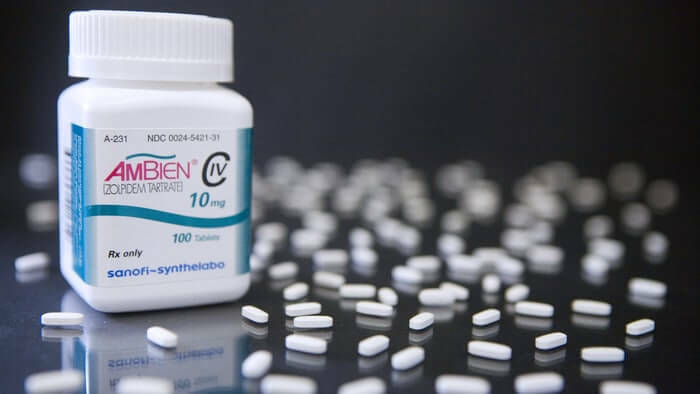 A particular medication—Ambien—is associated with an increase in ER visits annually due to these adverse reactions, which resulted to accidents. 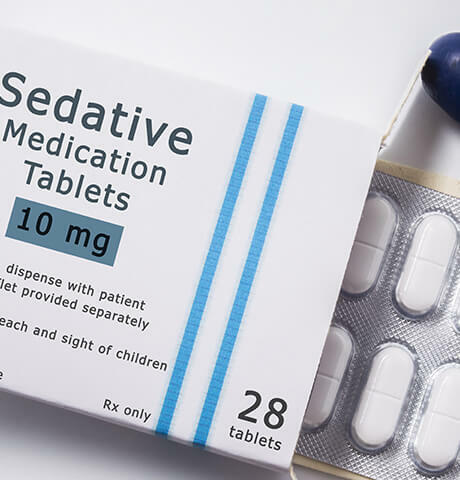 In fact, 32% of patients aged 65 and older who went to the emergency room due to the adverse effects of sedatives were hospitalized, more than double compared to the younger demographic (13% for patients aged 19 to 44). This even prompted the FDA to decrease the recommended dosage of Ambien by half. Lastly, dependence is always a concern with most drugs—this includes sleeping pills. People taking sleeping pills for an extended period of time may become completely dependent on them, or need an increasing doses to fall asleep. Over 38 millions prescriptions for Ambien alone were written from 2006 to 2011. Just imagine the total number for all sleeping medications combined! There are also withdrawal symptoms that users may experience if they decide to stop taking sleep medication: spasms, seizures, psychological issues, nausea, vomiting, and of course, insomnia. This is why it’s important to monitor sleep medication use in terms of both frequency and duration—especially for older adults that may suffer more from long term adverse effects or withdrawal, due to pre-existing conditions and increased risk factors due to age. Considering the studies underlining the risks involved in using sleep medication, is it still advisable to give them to seniors? Perhaps if every other option were exhausted before turning to prescription sleep medication, the benefits could outweigh the risks—sleep is vital for normal human function, after all. Here’s the bottom line: If a senior you know is having trouble sleeping, it is imperative that a physician be consulted and be made aware of the patient’s entire medical history. Should sleep medication be prescribed, the patient should follow the dosage religiously. Most importantly, a follow-up consultation should be the first action if it is not reaching its intended effect—not increasing the dosage without doctor’s orders.